Is the Post Office Open on Memorial Day 2015? Memorial Day is celebrated on the last Monday in May, and it’ll be celebrated on Monday, May 25, 2015. The holiday is one of the ten official federal holidays celebrated throughout the year which are recognized by the US government. Since the United States Postal Service (USPS) is part of the federal government, post offices across the country will be close to observe Memorial Day. In addition, there will be no regular mail service to homes or businesses on May 25. Even though local post office branches will be closed on Memorial Day, that doesn’t necessarily mean you can’t get a letter or package out. While there won’t be a post office employee to help you, more and more post offices are offering do-it-yourself options which will still allow you to get your mail and packages into the mail. 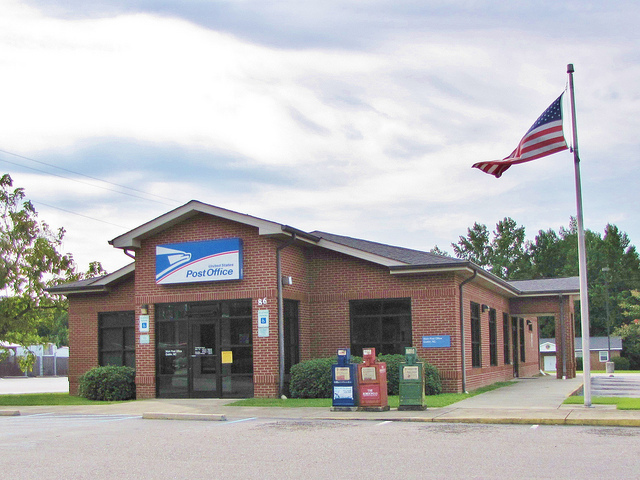 Most local post offices treat Memorial Day as they would a typical Sunday, with the same services available. Most post offices will have a place where you can deposit letters and packages even when the post office isn’t open. More and more post offices have installed self-serve postage machines where you can weigh, calculate, and purchase postage for packages you want to send. Post offices with PO boxes generally leave this area of the post office open so people can access them. If these services are typically open on Sunday at your local post office, they will also be available on Memorial Day. Saturday May 23: Maybe. Local post offices which typically remain open on Saturday will also be open on May 23. Many smaller post offices do not open for Saturday hours, and if this is typical for your local post office, it will remain closed. Many larger post office branches do open on Saturday, but they often will have shorter hours than they do during the week. Sunday May 24: No. Post office branches are typically closed on Sunday, and May 24 will be no different. Monday May 25: No. The post office will be close to observe Memorial Day. For those who need to get packages out, the post office isn’t the only mail service available. There are also private mail carrier services such as United Postal Service (UPS) and Federal Express (FedEx) as options to send packages. No, regular UPS services aren’t open on Memorial Day as the company does observe this holiday. For those who are in a bind and must get a package out, UPS does offer their UPS holiday and UPS Express Critical services on Memorial Day. No, FedEx is closed on Memorial Day and all regular mail and package deliveries will not be made. FedEx Home Delivery service will also be closed on Tuesday, May 26.